I will seek after those who worship Me in spirit and truth. 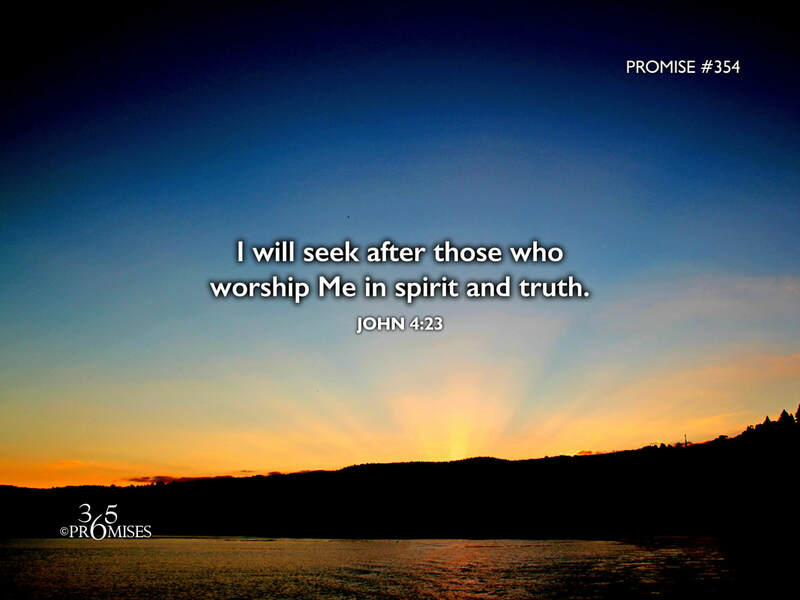 will worship the Father in spirit and truth, for the Father seeks such to be his worshippers. Jesus is speaking to a Samaritan woman at a well when He makes this statement that the Father is seeking out those who will worship Him in spirit and in truth. The Greek word for seeking is 'Zeteo' which Strong's Concordance describes it as... to seek a thing in order to find it, to aim at something, to strive after, to crave, etc. This is a very active word describing how God feels about those who turn their hearts toward Him. When Jesus tells us that His Father is seeking after those who will worship Him in spirit and in truth, He is giving us an insight into His Father's heart. While we are called to live a life of being God chasers, God Himself is chasing us! He longs for our attention more than we long for His! He is seeking out those who will present their bodies as living sacrifices because their lives are a sweet smelling fragrance in His nostrils.